Thought I might take a minute to update folks on some recent happenings on the FTW site. It's not a ton of things, but a couple important ones. Don't worry, the site is not going away, quite the opposite actually. I'm finally starting to get things sorted out where I can work on stuff and post regularly for readers. So let's look at what is changing. As I've worked on FTW over the years, the site has gone through tons of changes. The site has expanded and I'm constantly trying new things. These don't always work out for me since I only have so many hours in a day and I need to stay focused on the point of FTW and that is the Blogger Group. This is something I thought would be a great idea. Turns out it was, but not for the reason I thought it would be. And because of that, I won't be putting any more issues out. I thought it would be a great way to keep readers up to date with what's going on "behind the scenes" as it were, but I do that on FTW as it is. That's why most of us have our blogs in the first place I would suspect. What it do is help me get on schedule with my posting and even more importantly, planning my posts in advance. When I have them planned out in advance, I don't feel rushed or stressed about what I'm going to post up this week. It's something I would recommend everyone do with their blog. Find yourself a comfortable schedule for posting, whether it be once, twice or three times a week and then work on your posts in advance. Get you next post done ahead of time and have it ready to go. When that one is done, start your next post so you'll have two waiting to go. You can always bump them back if you happen to find something you want to post about before those go up. But don't just cram it in there. If you decide to post on Tuesdays and Thursdays and you have both of those posts already set to go for the week and you happen to play a game on Monday night you want to post about... make that your Tuesday post, make your previous Tuesday post your new Thursday post and bump Thursday to next week. There is some flexibility in the schedule, but it's there to remove the stress. I do it with my posts now that I'm on top of my stuff. A good example is my Monday post. I regularly post on Monday, Wednesday and Friday. I've found those days to work best for me and it's a content level I can keep up without any problems now. But, if my Monday post goes up and someone has a great suggestion or question in the comments or they email it to me, I'll follow that up with a "new" post on Wednesday and bump my previously scheduled Wednesday post to another spot later on the following week. Another great idea... and it is, I just don't have the time to make it what it should be. For that reason, I am selling the site to anyone who may be seriously interested. It has 25 Artists right now and continues to grow as new Artists find the site and want to be listed. It's first month it picked up almost 3,500 page views. And there is the problem... from that point on, it's been a slow decline because of me. I don't have the time to invest in like I need to be doing so that the site will continue to grow and help out the Artists listed. Painting Tree needs someone who is willing to do that. It's all there, ready to go, it just needs an owner who has some time they are willing to invest in it. If you're genuinely interested, please email me and we can talk about it. I'd be more than happy to go over the specifics. But it brings up the question of running multiple blogs. Why have more than one when you can take some time to set up one blog to include a number of aspects. Now I understand when it comes to completely different topics. My wife's horse blanket cleaning business doesn't blend that well with 40k. But two blogs for two different 40k armies? What's the point really? Invest your time in one that brings it all together that you can update regularly and keep the content fresh and informative. I would think it far better than two separate blogs that both die a slow death because neither one is updated that regularly. Over time, FTW has had a number of contributing Authors. Mostly because I've found them doing their own thing and asked them to come over to FTW and post here to a wider audience. I am fortunate that most of them have graciously accepted my offer. I don't do it to bring in traffic or boost readership or help my stats. I bring people on board because I like what they are doing and I think it helps other folks out there. This is most evident with the Blogroll Spotlight. It's a way to put the spotlight on others work and get them some attention in a fast paced environment where they might otherwise get passed over. 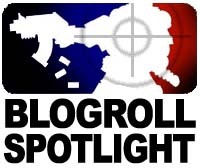 The Blogroll Spotlight is not going away. I'm actually hoping that as it settles in and really gets into a groove, it will grow a bit. It comes along every two weeks, and I can't tell you how much excitement I get out of seeing it (yes, I don't look at it beforehand) and seeing if I caught the posts when they originally came out in the blogrolls or if they are completely new to me. But the idea of bringing on addition Authors or contributors is something that most of us consider at one point or another. If you're looking to boost traffic or just make it so you have more posts more frequently, you might be going about it the wrong way. More Authors doesn't always mean more traffic for a site. More posts doesn't always mean more traffic. The trick is getting quality over quantity. You want to bring someone on board who is going to help your blog get better at what you want it to do. If that's talking about Orks or Tournament play tactics or whatever, then make sure your contributors can help you with that specific goal. Just getting another warm body to post up stuff may not always help you to your goal. With the constant growth of FTW, I have added a new section to the bottom of the page that will have a handful of categories listed. It's in addition to the Archives page and this widget is designed to help folks with information on topics in general. 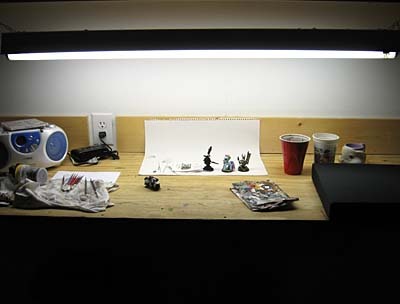 Where the Archives will continue to be for specific posts, the Quick Links section will be for more general things like basing, magnets, weathering, etc. As I get the sections put together, I'll make the links active so you guys can use them. I suspect it will take me another week or so to get everything sorted into the categories I have. A little fine tuning after that and it should be a huge help in finding information on general topics. Blogging should be fun, if it's not, I'd look at why that is. It will certainly be work, but you should be having fun doing it. Get rid of some stress by planning your posts out and getting them done in advance. Get on a realistic schedule that fits your available time and keep to it. More blogs is not always better. If you're in that boat, try bringing your collection together under one roof and getting all your readers to come to one spot to see what you're up to. And last but not least, it's quality over quantity. More is not always going to help your blog grow. Figure out what it is you're working towards and get those folks who are in line with you to help out. Maybe they Guest post, maybe they become Authors, maybe you just share links. The trick is keeping on track with what you want your blog to be doing. Preplanning my blog posts would certainly make a lot more sense and ensure I have more timely content. If you don't mind me asking, how much time do you spend working on posts? I find myself starting posts and never following with them because I don't think they offer anything for my readers. How do you figure out what works for you or is it just second nature at this point? The Harrower: Good question. I'd say I spent one full day during the week working on posts. Then I spend my weekends doing work. Unless I get something that's spur of the moment and then I work on it until it's done real quick. As far as having something to offer, it comes down to what you want your blog to do for your readers. If you are a tactics blog, then that's what folks are going to come for. If you are all about Grey Knights, those people will find you and come back. But... some folks don't care about tactics or Grey Knights or Deathwing or whatever it may be and those readers aren't going to visit your sire regularly. Same goes for me. People don't come to FTW to get the late rumors or tactical advice. It's just not here. If you're writing about something that is important to you, it will come across in your posts and your readers will connect with it if it's important to them. That's the best you can hope for. You can't please everyone, so share what is important to you and others will be drawn to that. I could be missin something here but where is the economic incentive to purchase the Painting Tree, other than by making profits from adverts that are rarely clicked on the first place? idget: As far as economic incentive goes, the sky is the limit depending on the amount of work you're willing and able to put into a site. And there is the problem for me, I am unable to invest the time in the site so that it can be more than it is and potentially become a money making site. Ron, the post was as informative as ever, even though it doesn't quite touch up to the W40K universe! The information you provide is always helpful! Tempor: Most of the time it's hobby stuff, sometimes it's a change and I go over blogging. More hobby stuff tomorrow with the finished Asmodia model.